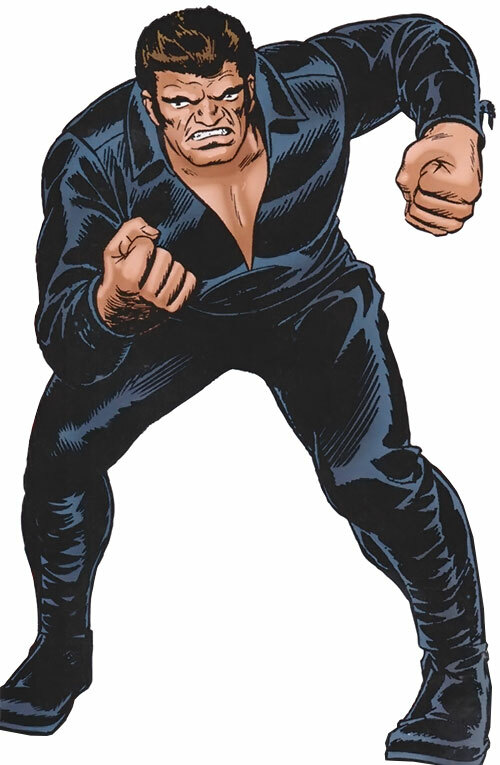 The Maggia is a fictional mob in the Marvel Universe. 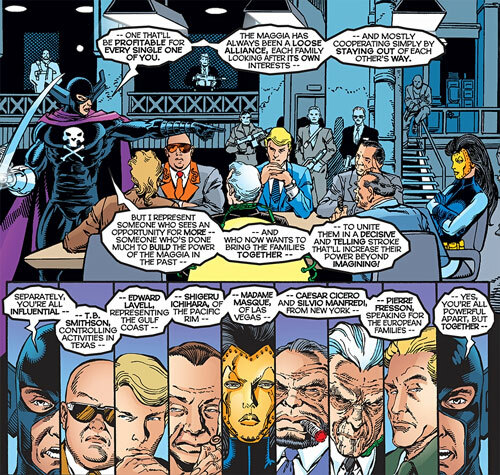 It is a comic book version of the Mafia, the difference in name being a fig leaf due to old Comics Code Authority clauses about depicting real-world criminal organisations in comic books. They first appeared in 1965, so essentially they’ve always been part of the Marvel Universe. This profile is listed as “Classic Era” since it doesn’t attempt to be up-to-date or track every little bit of lore. It’s the classic Maggia as they usually appear in Marvel stories across the decades. The exact storylines are best left to the individual character profiles. A criminal organization like this is pretty useful for a GM who wants to introduce some consistency to street crime. It makes a rallying point for many heroes. From petty thugs to super villains to Dreadnoughts, it provides many opportunities for gradual responses. The Maggia is an international crime organization. It’s the fictional equivalent of The Mafia in the Marvel universe. A few details are fleshed out to give it a comics flavor but otherwise, it’s mainly the same as our world’s Cosa Nostra. The purpose of The Maggia is to make profits, by any quickest mean available. Its motives are only financial. The seditious aspects of their activity is but a side effect. It’s not their main goal, as it would be for HYDRA. They usually involve rather low profile petty crimes and systemic corruption. They rely on tried methods of enforcement: intimidation, property damage, legbreaking, kidnapping, and contract assassination. However, in New York City they have broken with tradition to counter the super heroes. They often hire super human agents. Sometimes they plan more high profile operations, mainly The Nefaria branch, due to its reserved field of operation. They managed to acquire plans for building dreadnoughts. However, they’re expensive and attract a lot of attention. It spreads its activities across western Europe (outside former communist influence) and the United States. Major cities in Western Europe and United States. NYC may be the most important base of operations. Drugs traffic, illegal gambling, loan sharking, extortion, prostitution, corrupted industrial activities, weapons smuggling. Over the years it has invested much of its income in legitimate businesses. Police forces. Any hero will confront them when he discovers Maggia’s activities. Street level heroes (Cloak & Dagger, Daredevil, Punisher…) will actively seek to shut it down. Count Nefaria’s field of operations is of higher profile. Therefore, he tends to attract more attention from higher level heroes like the Avengers or SHIELD. Worldwide in the ten thousands family members, US-wide around 3500 family members, in NYC around 1200 family members. There are around ten times more hirelings than family members. They may be considered part time organization’s members, sometime not even knowing they work for The Maggia. The Maggia is split between several ruling families. Individuals in a family will seek prestige to gain power and position. When a family boss retires, he names his successor. The strong family ties involved usually make dynasty-like successions. However, the prestige won by individuals may carry them to the top of a family. Honor is vital to The Maggia : honor the elders and relatives, be truthful in dealing with one another. Most important of all is to protect the family’s secrets. Those who betray the secrecy are marked for execution. The victim is grabbed by the chin in the infamous “Maggia touch”. Families do not tamper with other families’ territory. 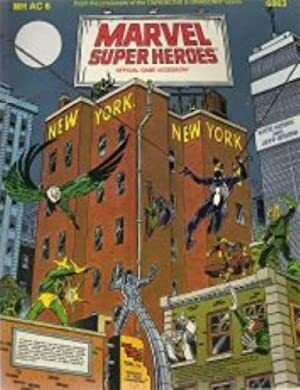 New York City is divided between three families : Silvermane specializes in narcotics, Hammerhead in extortion and loan-sharking, Nefaria in blackmail, industrial espionage and supplying equipment to terrorists. Madame Masque. These three are family bosses in New York. 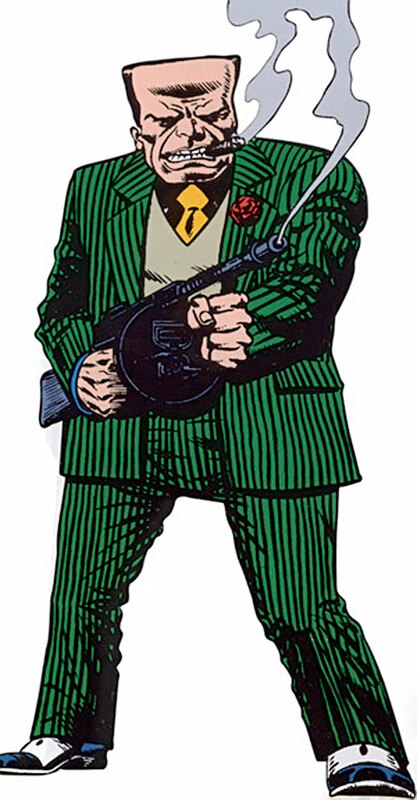 Caesar “Big C” Cicero (Silvermane’s ambitious lieutenant). 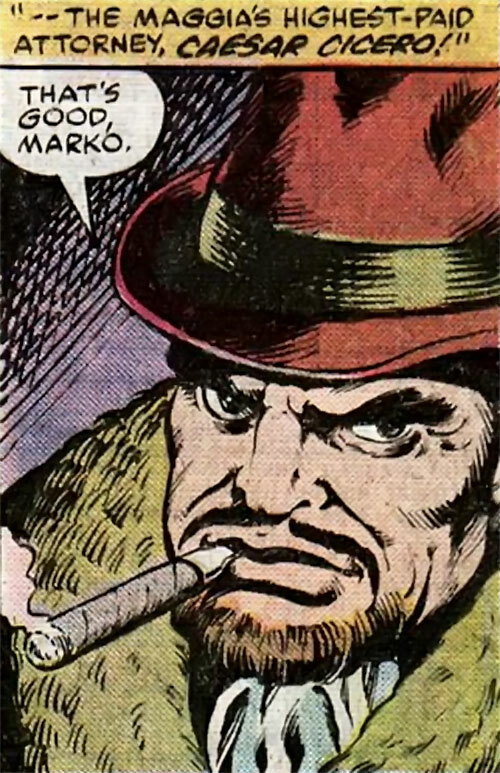 Man-Mountain Marko (an enhanced enforcer). The Costa family (responsible for the Punisher’s family assassination). Rapier (former Silvermane’s employee turned rogue). All the executives are somewhat related to a Maggia family, either by birth, marriage or close life ties (tough childhood friendships, brother in arms…). The Maggia originates in Southern Europe in the 13th century, partly in response to a series of oppressive foreign governments. These foreign governments paid little attention to native traditions. In reaction, the Maggia leaders adhered closely to traditions of personal honor and family loyalty. To these days, high in the Maggia hierarchy, they nurture these traditions. As for many other communities, European members of The Maggia settled in the United States, starting with New York. Speculations leads to think of lower status family members, without much hope of reaching the highest level of their family, left to start their own family branch in this new world. Its presence in the US first came to public awareness in the 1890s. During the Prohibition , in the USA, The Maggia reached its maximum influence. Their control of the alcohol traffic gave them the means to control most of illegal gambling, loan-sharking, and then the narcotics traffic. Its leader is Silvio “Silvermane” Manfredi, one of the last of the legendary gangsters who came to notoriety during the 1920s and 1930s. This group conducts its activities along traditional Maggia lines, and is heavily involved with the narcotics trade. Silvermane uses unusual scientific means only for the personal goal of staving off his own death, and not for the family’s activities. 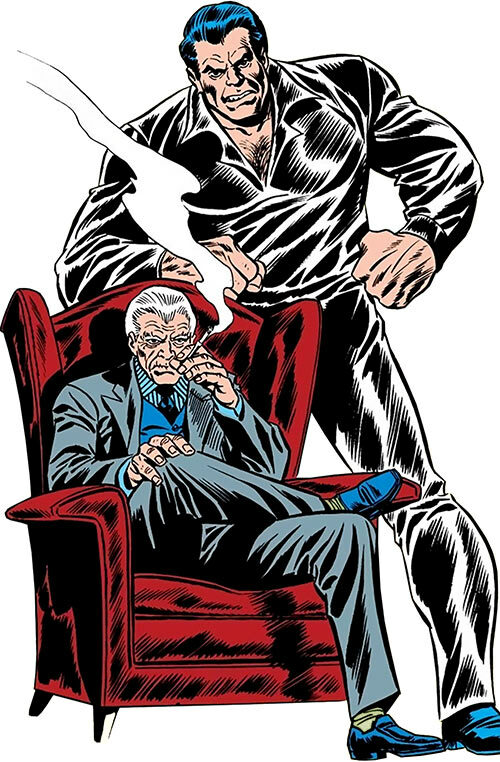 Although Silvermane has a son, Joseph, once known as Blackwing, his successor as family head will probably be his longtime rival, top Maggia lawyer Caesar “Big C” Cicero. It is unclear whether Silvermane has again assumed control of his organization since being turned into a cyborg. Dominated by middle-aged Maggia traditionalists, this family first became notorious under unusual circumstances. 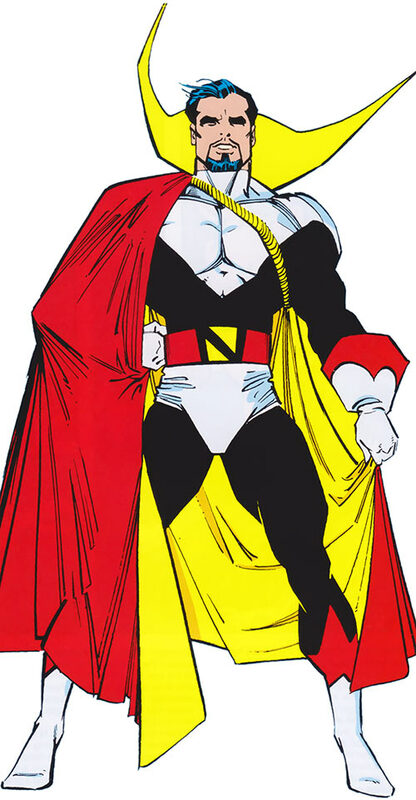 Perhaps in imitation of the Nefaria family, its leader, known as the “Top Man,” outfitted his family hit men with costumes and advanced weaponry. He then gained ownership of the Baxter Building through questionable means, thinking that doing so would somehow give him legal title to the technology of the building’s famed occupants, the Fantastic Four. The Fantastic Four defeated and captured the “Top Man,” his claims to owning the Baxter Building were dismissed by the courts, and the “Top Man” was reportedly assassinated by order of his own family. The family then sought a new leader who would direct operations along thoroughly traditional lines. It chose a newcomer known only as Hammerhead. He’s an amnesia victim whose new ruthless persona had been shaped by his love for gangster films. Hammerhead uses methods from the Prohibition Era, including gang wars, although he will use advanced technology for personal ends, such as the exoskeleton that magnifies his strength. This group bears little resemblance to the rest of the Maggia. The late Italian nobleman, Count Luchino Nefaria, a scientific genius, was the world’s most powerful Maggia leader until his initial defeat by the Avengers. Afterwards he moved his base of operations to the New York City area, and then imprisoned Washington, D.C. within an impenetrable force-dome and held it for ransom. After his defeat and capture, his daughter Giulietta, also known as Whitney Frost, succeeded him as family head and led an unsuccessful attempt to capture the advanced weaponry of Tony Stark. She was eventually succeeded by a costumed criminal, the Masked Marauder, who demanded complete control of New York City or else he would detonate a nuclear device there. After his capture, the family again apparently came under control of Whitney Frost, by then known as Madame Masque. A woman at the head of a Maggia family somehow contradicts the families’ tradition. Contrary to standard Maggia practice, the Nefaria family has employed futuristic weaponry and even robots (like the Dreadnoughts), as well as costumed super-powered agents (Unicorn, Whiplash, Gladiator, etc.). To one extent or another, the 3 leaders of the NY families are no longer in ideal leadership conditions. The Kingpin took advantage of this. In recent years, he has taken control of a large portion of the organized crime on the East Coast. At his peak, he became more powerful than the 3 NYC families. The Punisher estimated that 80% of the East Coast crime is under his control. The equivalent of the Maggia in the DCU might be the 100 (originally), more recently known as the 1000. Deployable knife [BODY 03, Enhance (EV) : 01 (cap is 05), Miniaturisation: 01, Descriptor: Piercing]. Medium Calibre Semi-Auto [BODY 03, Projectile weapon: 04, Ammo: 15, R#03]. Sub-machinegun [BODY 04, Projectile weapons: 05, Ammo: 07, R#02, Advantage : Autofire]. Occasionally, when planning to confront SPBs, they can use futuristic weaponry or dreadnoughts. At the bottom levels of the organization, The Maggia hires basic street scum to take care of the daily dirty business : drug dealing, prostitution, racket… Use the following stats sets – “Run-of-the-mill street thug” and occasionally “Beefy street thug” or “Gun-toting gangsta”. They are marginally brighter goons used for information gathering. They are not fighters. To uphold a front of respectability, the Maggia hires specialists in more legitimate businesses. They hire lawyers to bail their trusted henchmen out of prison. They also hire businessmen and women to run their front, cleanse the money, evade taxes. Occasionally they hire scientists to research new drugs or other fancy experiments. They are usually not fighters and tend to easily fold except if enforcers are around. After all, as they’re the respectable front, they are easy to get out of jail. Scholar (1 or 2 fields). 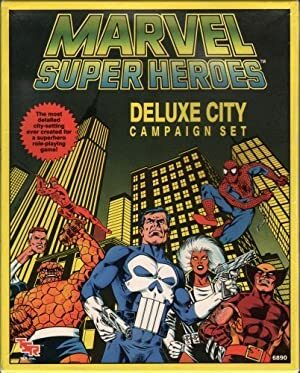 Weapons Locker articles guide – DC Heroes RPG – DC Adventures, Melee weapons – Small – DC Heroes RPG – Mutants Masterminds RPG, by Sébastien Andrivet. Writeup completed on the 31st of May, 2014.